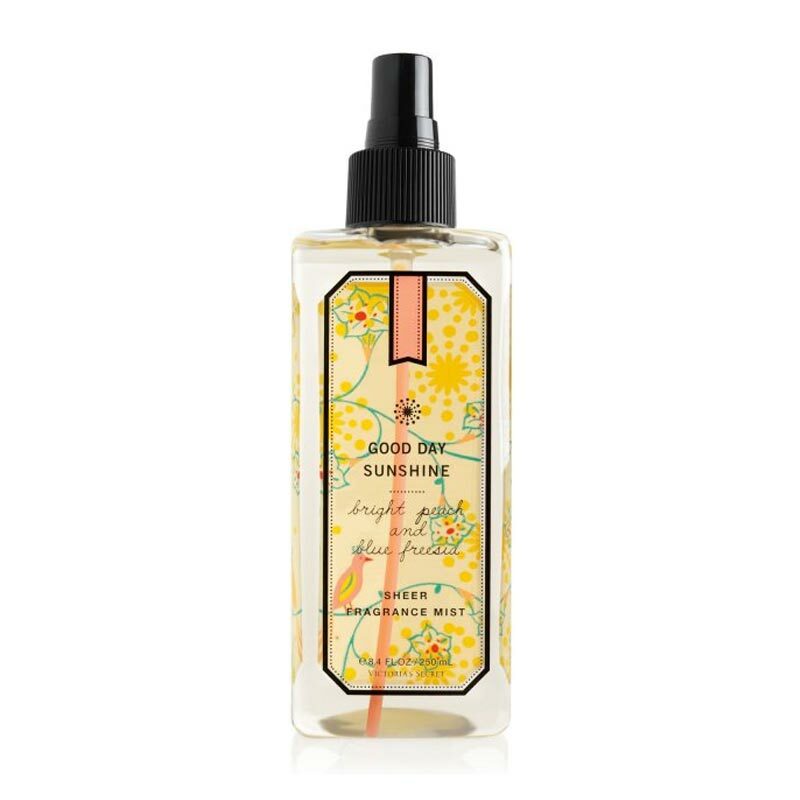 Victorias Secret Victorias Secret Good Day Sunshine Body Mist Happiness is in the little things like this light floral scent. Blue skies; pink shoes; a good hair day; just add bright peach and blue freesia to get the perfect day! Relive the moments with this fragrant body mist. Infused with skin nourishing botanicals, it's a happy path to soft, touchable skin. Product #: Regular price: Rs.2100INR852(Sale ends 01 January ) Available from: DeoBazaar.com Condition: New In stock! Order now! Happiness is in the little things like this light floral scent. Blue skies; pink shoes; a good hair day; just add bright peach and blue freesia to get the perfect day! Relive the moments with this fragrant body mist. Infused with skin nourishing botanicals, it's a happy path to soft, touchable skin.